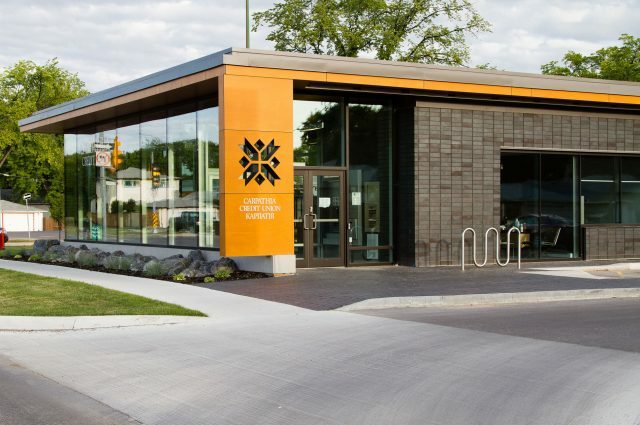 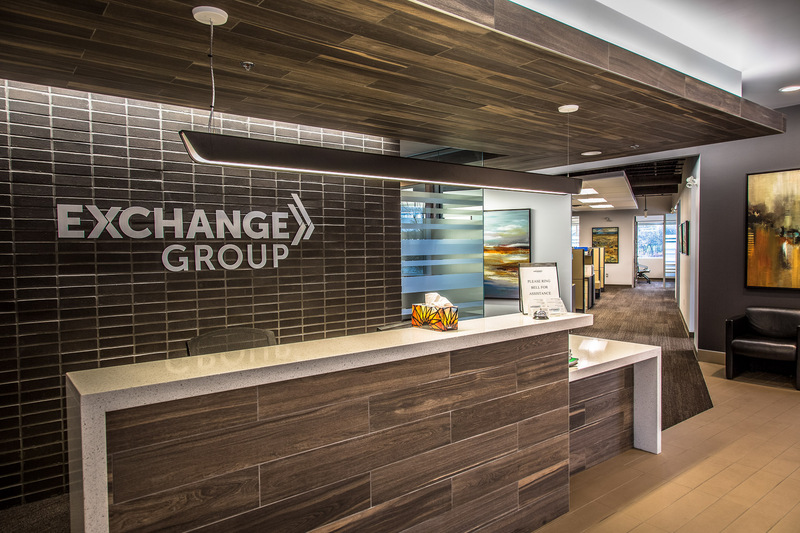 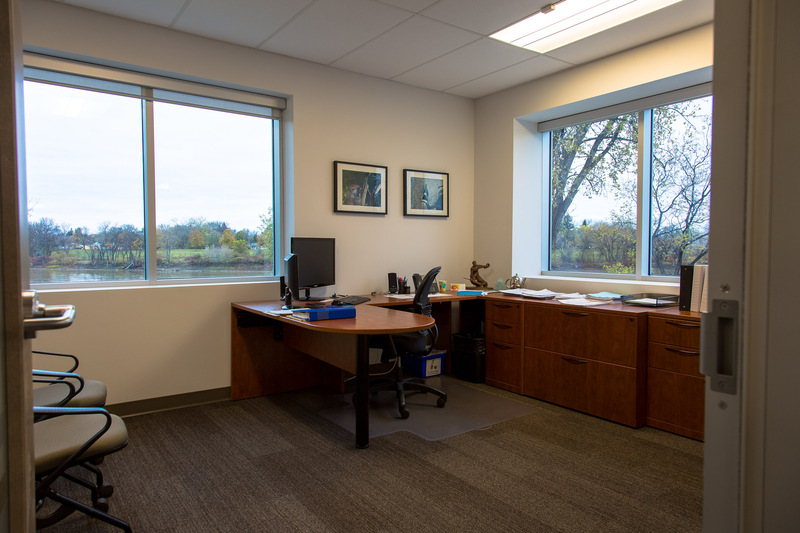 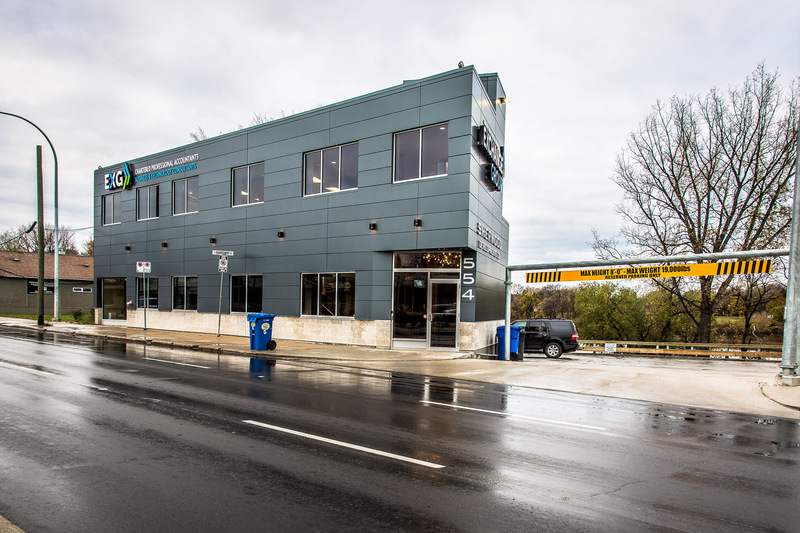 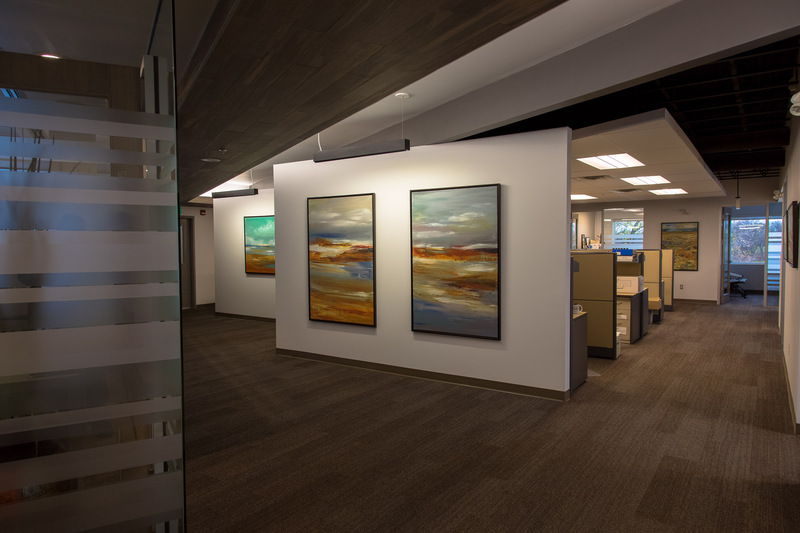 The Exchange Group and Prairie Architecture selected Three Way Builders to be the Construction Manager of the 7,000sf tenant fit up of their new office space. 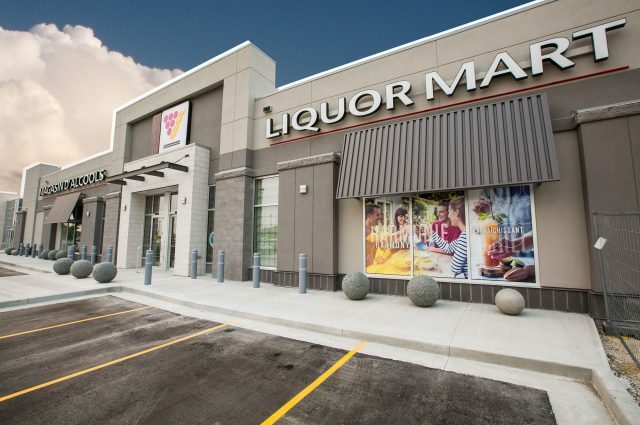 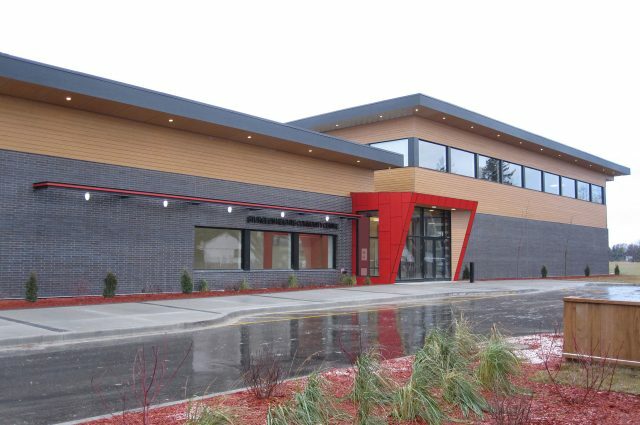 As a team we worked through multiple preliminary designs and budgets prior to construction. 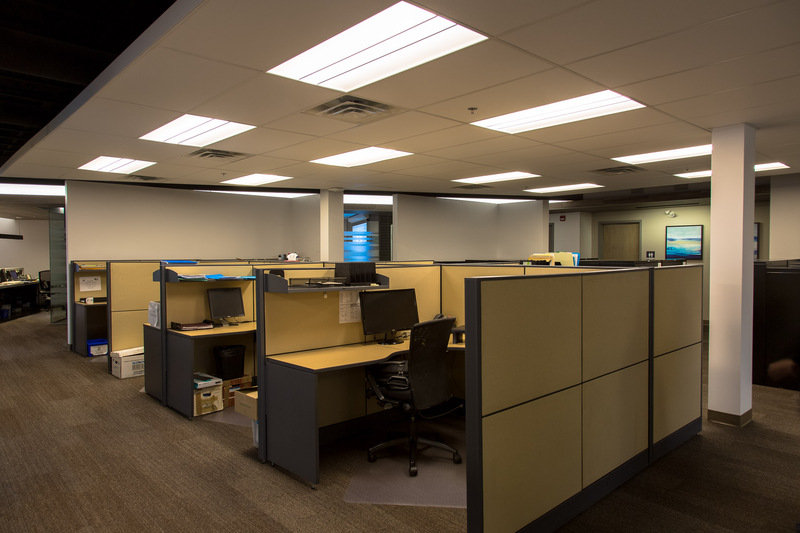 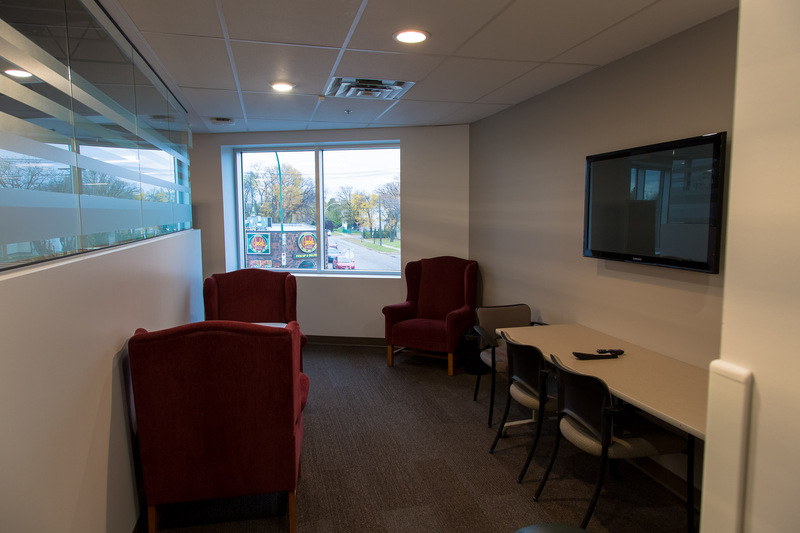 The fit-up consisted of 2 levels of the office building including an entrance area. 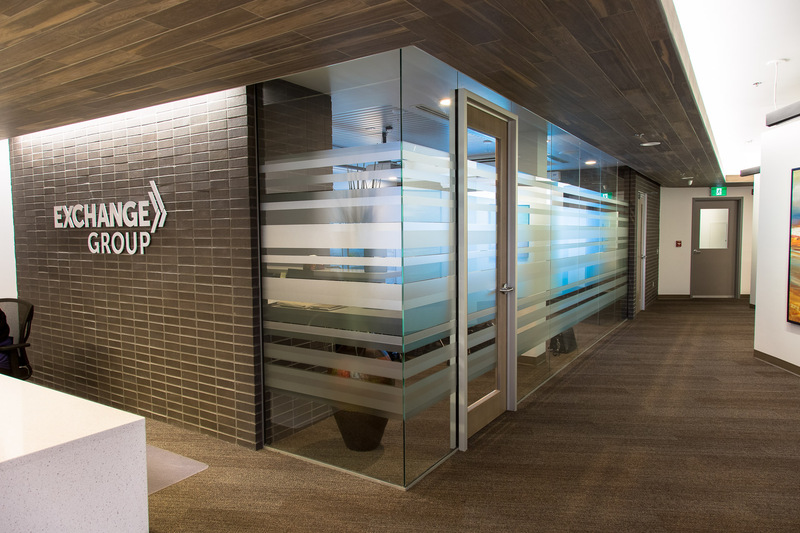 The design from Prairie Architecture featured elegant glass walls with layered film, ceramic tile bulkhead features and exposed ceilings with acoustic ceiling tile clouds.